HHE Syndrome – Page 2 – Loving Danger! Continue reading Update 🙂 Chips! Continue reading Under Pressure – just like Freddy. 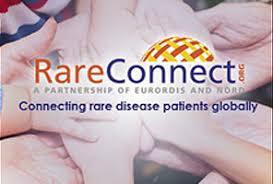 Continue reading February Post for Rare Disease Day! A post about 2 cents worth! Continue reading A post about 2 cents worth! A different kind of Christmas! Continue reading A different kind of Christmas! Continue reading The Wonder of Wonder! Continue reading The Time IS Now. Continue reading What a wonderful time of the year!